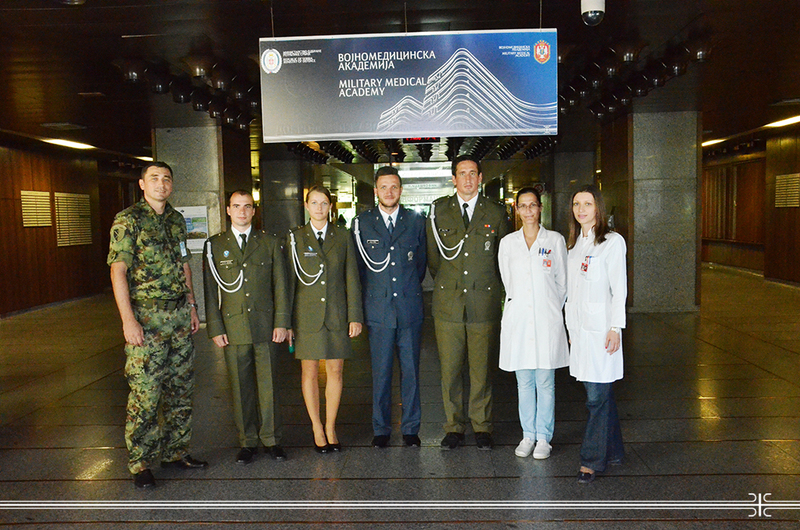 Students of the fourth and fifth year of the Faculty of Medical Sciences of the University of Defence of the Czech Republic paid a visit to the Military Medical Academy and the Medical Faculty of the MMA, University of Defence in Belgrade. Four students were welcomed by the Associate Dean for Scientific Research and Cooperation of the Medical Faculty of the MMA Lt. Col. Prof. Dr. Tihomir Ilic and introduced with the structure and organization of the Military Medical Academy, as well as study programs and other forms of training at the Faculty. During the visit, organized within the framework of the traditional annual exchange of students, guests had the opportunity to visit the MMA organizational units and to get a brief insight of regular medical practice in the institution.